"This is a book useful to anyone working with nut crops." 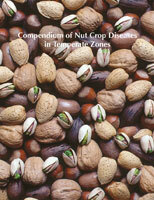 Compendium of Nut Crop Diseases in Temperate Zones covers diseases and disorders of almond, hazelnut, pecan, pistachio, and English walnut crops. Learn to identify and control major and minor diseases of nut crops. 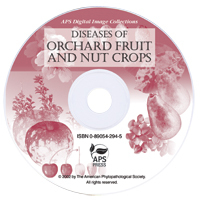 Practical and easy to use, disease identification is strengthened with 189 color photographs and complete pathogen descriptions. In addition to complete coverage of symptoms, pathogen description, epidemiology, and control recommendations, this book also provides a fundamental explanation of environmental and cultural practices that affect disease development. This practical guide is essential for anyone working with nut crops, including: horticulturalists, nursery personnel, extension agents, county agents, regulatory personnel, growers, crop advisors, entomologists, plant pathologists, students and teachers.